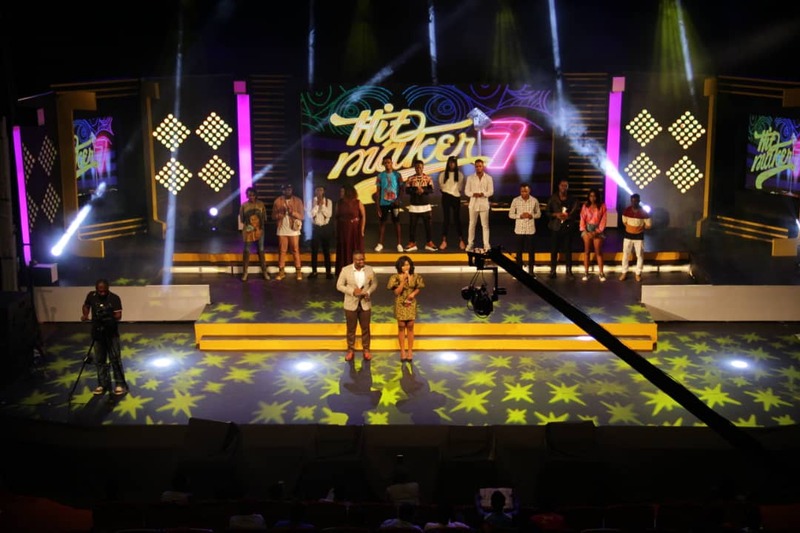 The stakes are higher than ever in Season 7 of MTN Hitmaker. The show has finally entered the eviction stage, which means that the fates of the contestants are almost entirely out of the judges’ hands and at the mercy of viewers who vote. Well, the first eviction show came off on Tuesday, October 16th at the National Theater, and we know which two of the previous night’s twelve acts were eliminated and which will move on for another shot at the top prize of a 100,000 recording deal. The contestants were tasked with performing covers of any international song released from 2000 to 2018, and after days of preparing and rehearsing with the band and their voice coach, were ready to thrill viewers to an amazing performance. But that opportunity was cut short for RnB singers Jayson and Eva after the judges decided to save dancehall act, Kulcha, making them the first two contestants to be evicted from the competition. The judges, Eazzy, Kaywa and Francis Doku joined by lawyer, entrepreneur, fashionista Sandra Ankobea, were very impressed by their overall performance, as according to them, there have been some real improvements from their previous performance. The action continues each and every Tuesday at the National Theater at 6 pm. It also airs on Saturdays on TV3 at 8 pm, GHOne TV and TV Africa at 7:30 pm, Kessben TV at 4 pm and Tv3 at 8 pm. And on Sundays on 4syte TV at 5 pm, Joy Prime at 6:30 pm, UTV at 3 pm, Homebase TV at 4 pm, Maxx TV at 8 pm, Oceans TV and TV XYZ at 6 pm. Be sure to tune in to see who deserves to stay in the running for the top prize. President Mahama calls Mzbel "Troublesome,Fun & A Controversial Daughter" on Instagram?